I am absolutely delighted to be Fortismere School's new Patron Of Reading! Patron Of Reading is a brilliant new scheme that started a few years ago. The aim is for an author not just to visit a school once, but to form an ongoing relationship with the school, and to spread a love of reading and books through the school. Fortismere have been lucky to have Sita Brahmachari as their Patron Of Reading for the past few years. Sita wrote about her experiences in this great blog post. I was totally honoured to be asked by Fortismere's fantastic librarian Gillian Ward to take over from her. 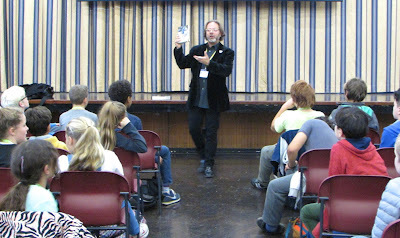 For my first event at Fortismere, I had the pleasure of meeting the whole of Year 7 last week. I was inspired to discover what terrific readers they already are. When I asked what people's favourite books were, I heard an amazingly broad variety of responses – everything from classics like The Lord Of The Rings, to recent books like RJ Palacio's Wonder. I think this kind of variety shows a real love of reading, and a fantastic openness to all the different kinds of books out there. It was also amazing to find quite a few fans of Varjak Paw, The Outlaw Varjak Paw and Phoenix! There were some great questions in the Q&A, and it was a complete pleasure to sign books for readers at the end. I'd like to thank everyone for the wonderful welcome they gave me. 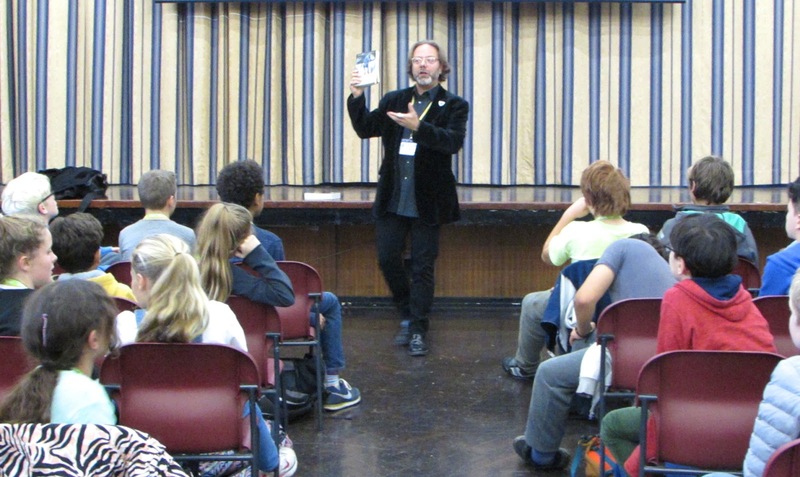 I'll be visiting Fortismere again next month to see Year 8 – and then I'll be back again next term to talk some more about people's favourite books. In the meantime, if anyone would like to leave me a comment or ask me a question, this is the place to do it. Just leave your comment below, and I'll do my best to answer it!